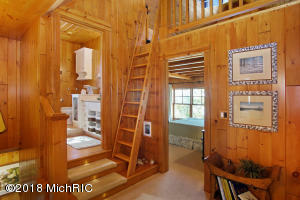 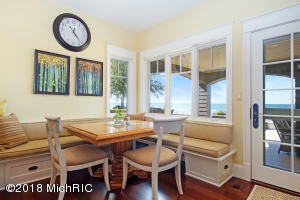 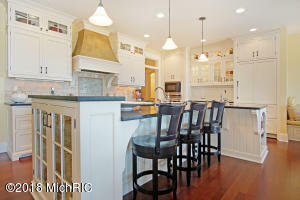 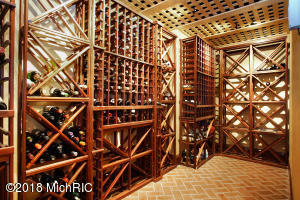 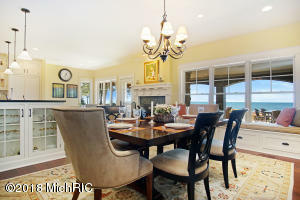 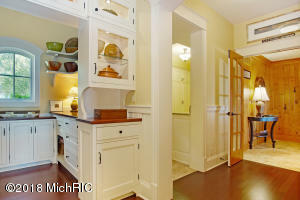 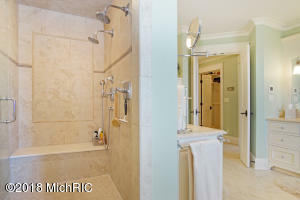 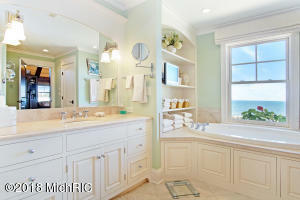 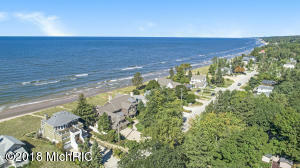 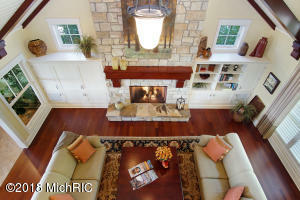 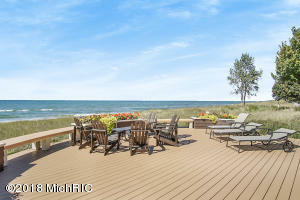 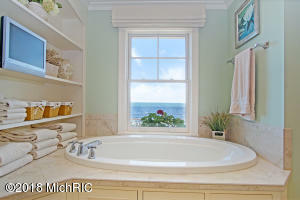 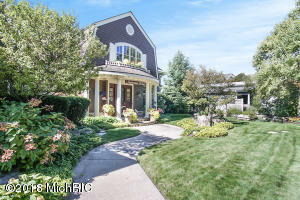 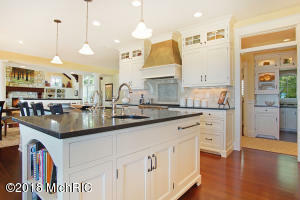 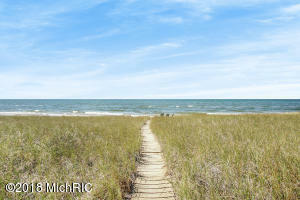 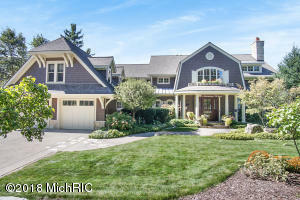 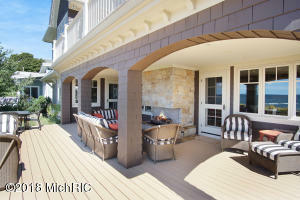 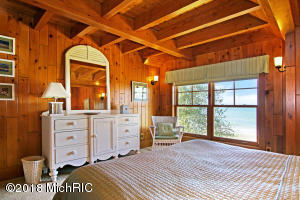 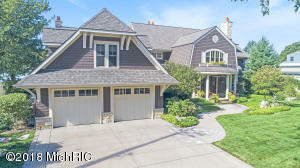 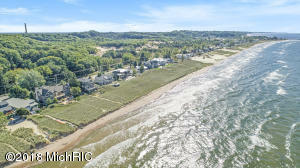 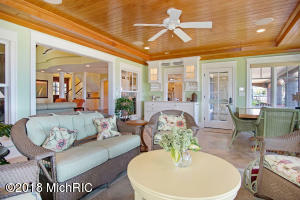 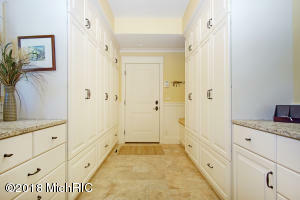 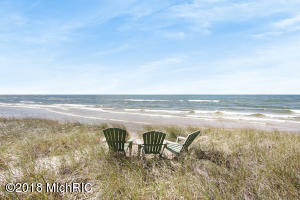 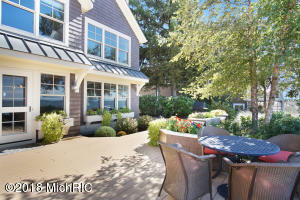 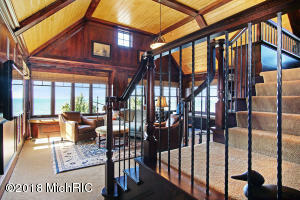 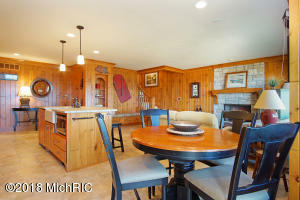 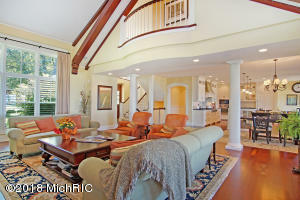 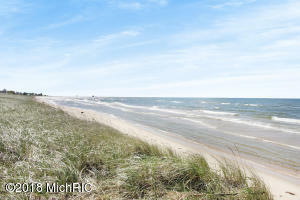 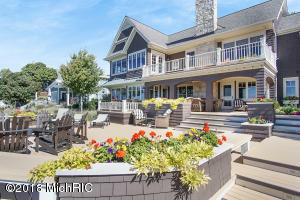 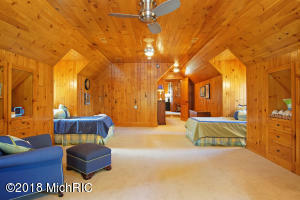 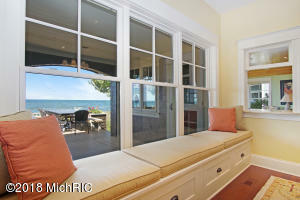 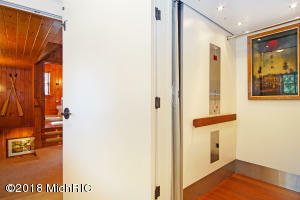 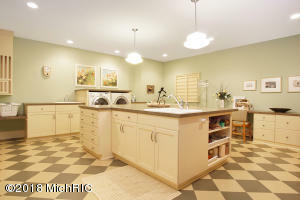 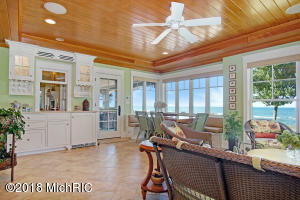 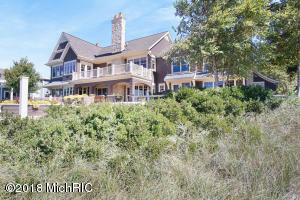 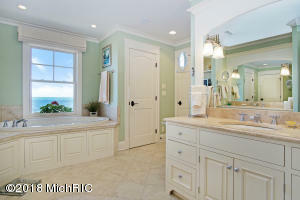 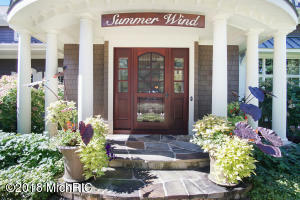 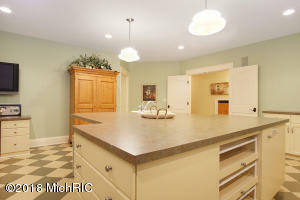 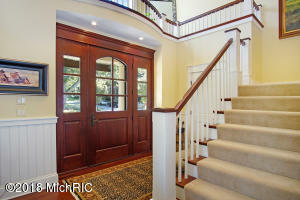 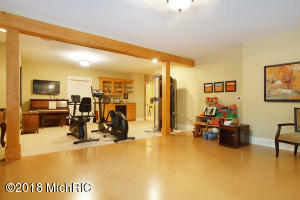 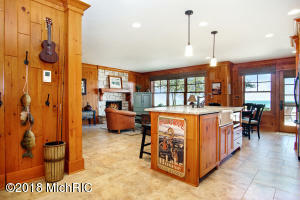 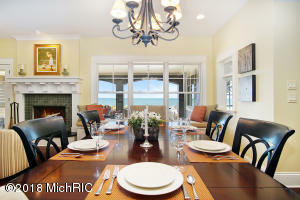 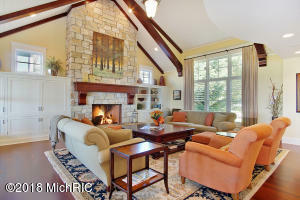 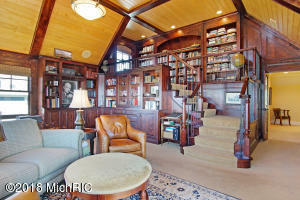 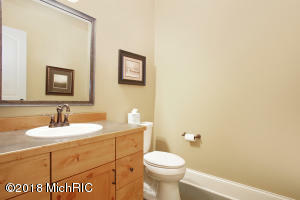 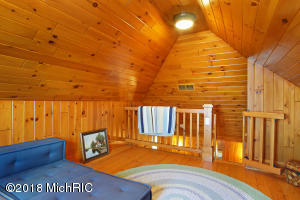 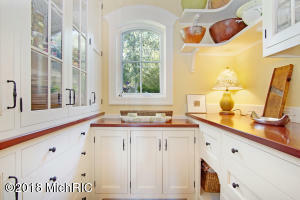 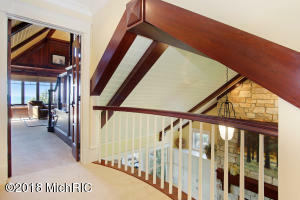 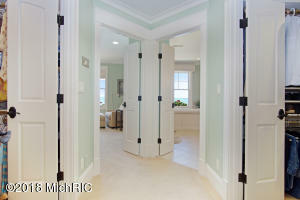 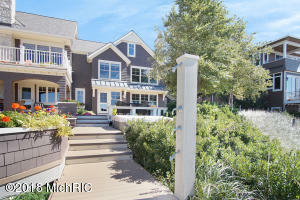 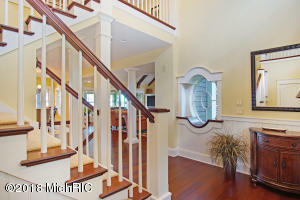 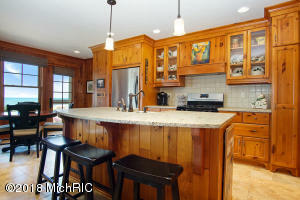 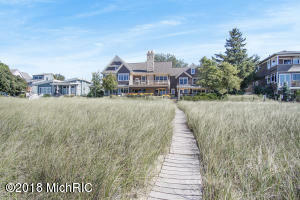 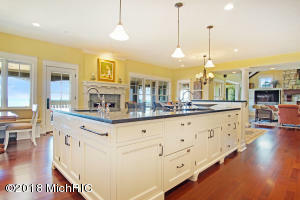 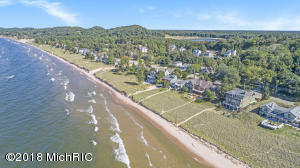 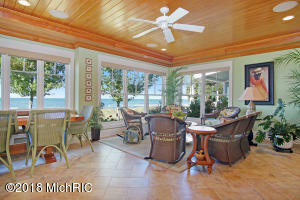 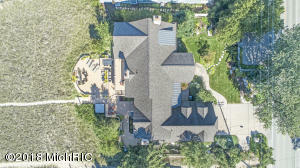 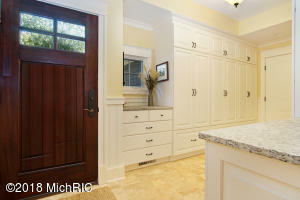 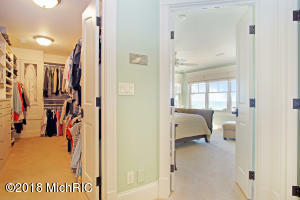 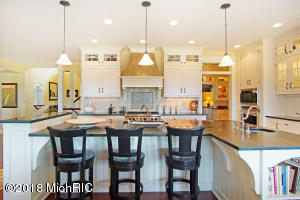 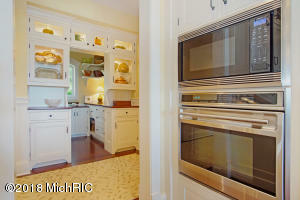 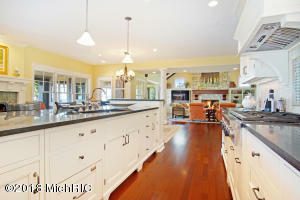 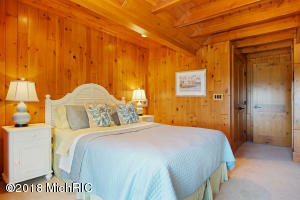 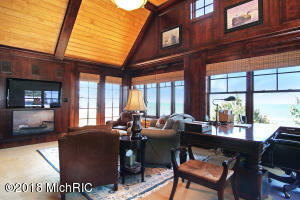 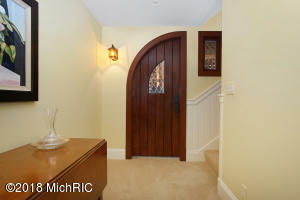 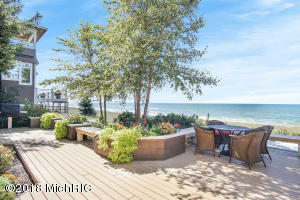 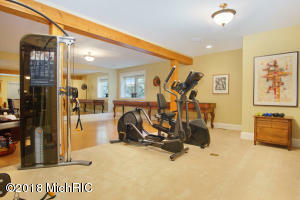 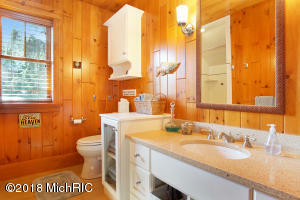 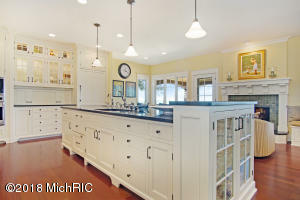 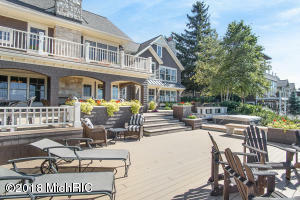 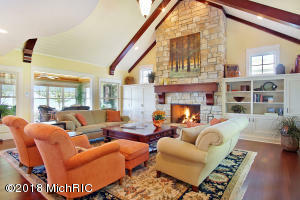 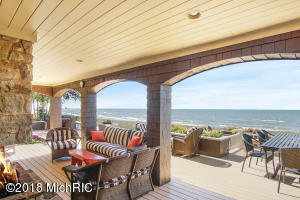 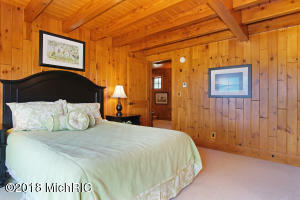 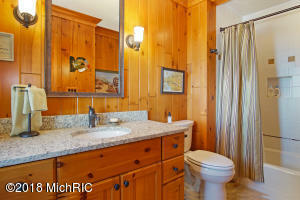 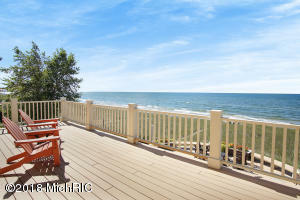 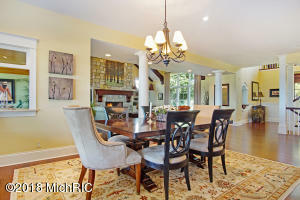 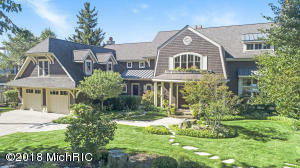 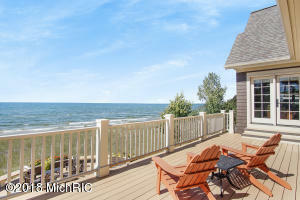 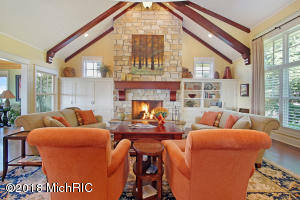 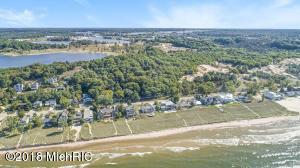 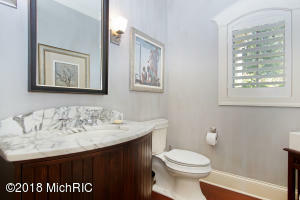 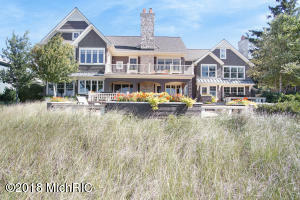 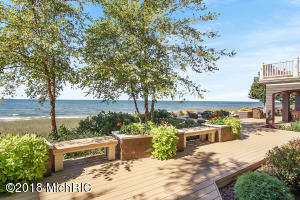 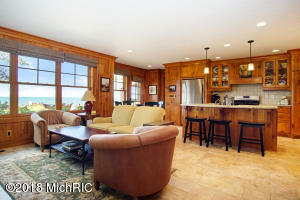 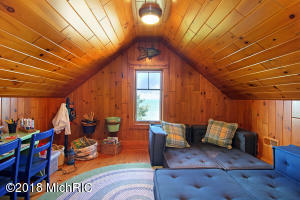 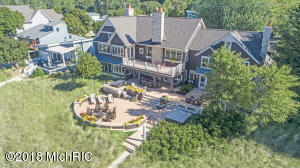 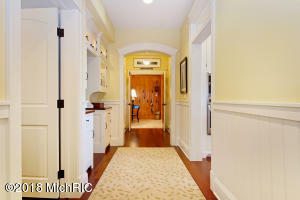 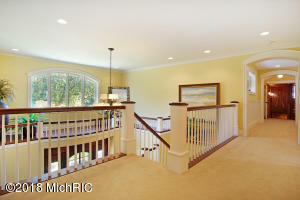 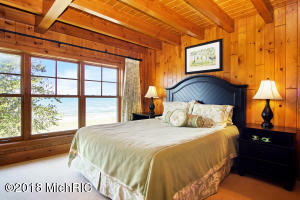 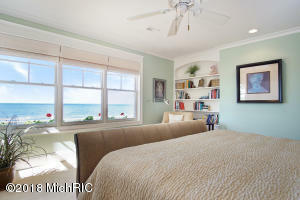 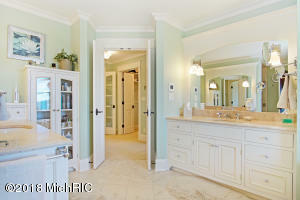 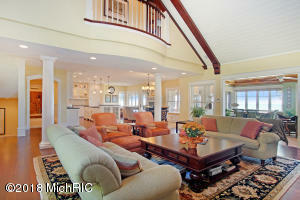 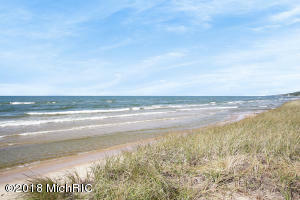 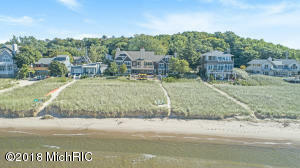 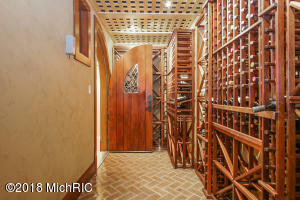 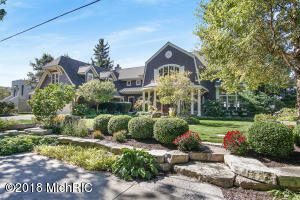 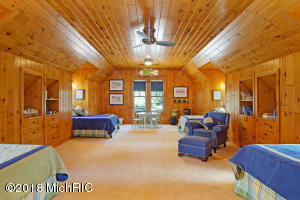 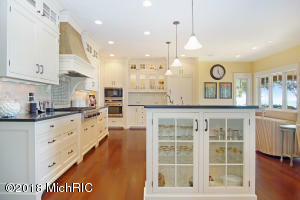 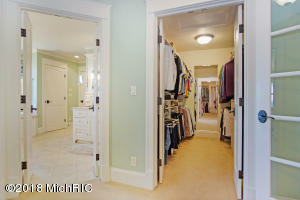 YOUR OWN PRIVATE RESORT ON 115' OF LOW-BLUFF LAKE MICHIGAN BEACHFRONT. 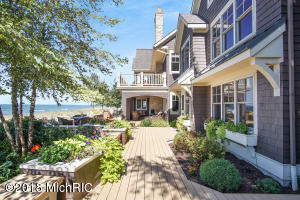 ''Summer Wind'' is a one-of-a-kind waterfront home with more than 8,000 sf of living space, all thoughtfully designed for functional living with exquisite finishes and custom details. 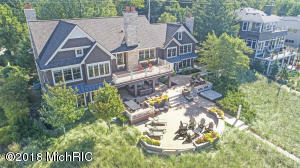 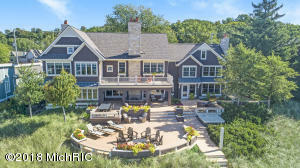 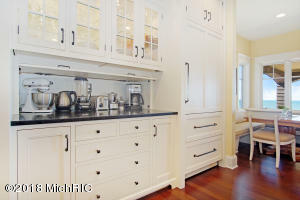 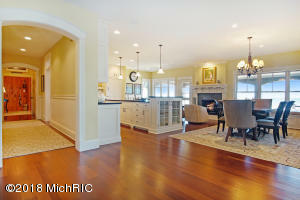 The main floor living space boasts stunning views of Lake Michigan with multiple areas for entertaining, dining and relaxing, centered around the granite kitchen island, butler pantry, appliance garage, and wood fireplace. 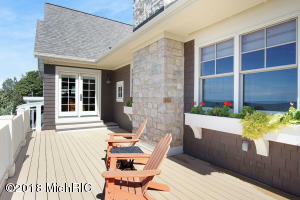 The four-season sunroom opens to the outdoor living space with 1,100 sf of composite decking, gas log fireplace, hot tub, gas grill, and outdoor shower. 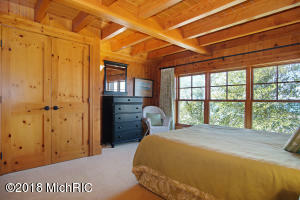 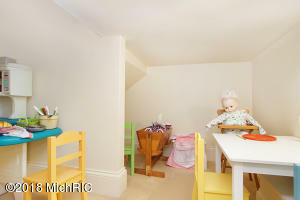 The guest house w/ kitchen, fireplace, 2 bathrooms, and 3 bedrooms is attached on both levels through French doors and is perfectly designed for family and guests.